What is Good: Finding the perfect party invitations with style! Finding the perfect party invitations with style! ...which happened to be my sister Christine's baby shower! I was beyond impressed with the huge selection I found on Storkie.com. There was a very hip and stylish baby shower invitation that I loved right away, the only problem was that the lady on it was blond and my sister is brunette. That's when I stumbled across one of Storkie.com's fantastic feature. 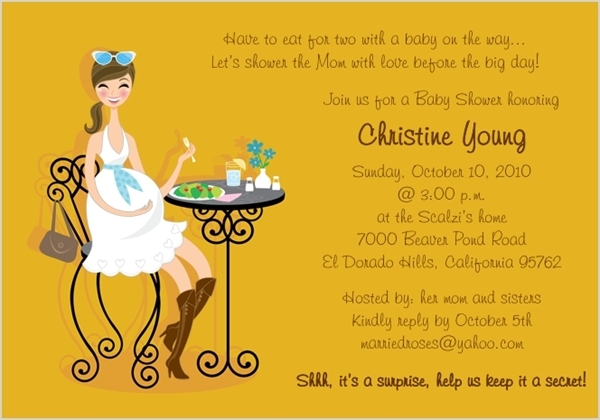 iDesign let me customize the invitation to look just like my sister! For those of you who know Christine, tell me, doesn't this totally look like her? Even the fact that she's sitting at the table eating is hysterical to me since during her whole pregnancy she loved food! Adorable! In addition to changing the color of her hair I was also able to change her outfit and color, the color of her eyes, sash, glasses, skin tone and boots, how cool! When designing your cards you even have the option to add Bling, what a great way to add some dimension. It really did make the perfect invitation all that more special when I added these gemstones to her glasses, sash, purse and flowers! With Storie.com they have Fast Turnaround, orders that are placed now are shipped out tomorrow (the next business day)! Bonus! Storkie.com makes Baby Shower Thank You Cards to match the perfect invitation. Then to follow the perfect baby shower you can browse the Birth Announcement category which features a wonderful, eclectic assortment of personalized birth announcements. 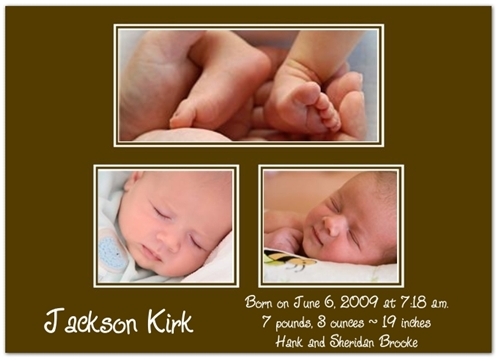 Include your baby's custom photo, a wonderful and truly personalized way to introduce your new baby to friends and family. Almost every category of invitations has an option to add your own photos! With Christmas right around the corner it's not too early to order your cards. There's over 75 Christmas Card designs to choose from, many are exclusive, contemporary designs where you can choose one that's already created or create your own Christmas photo card wording.